Any other items from our website will need to be purchase separate. Any customer service issues/questions about the DE or the code itself will need to be addressed with Silhouette directly, you are simply purchasing the activation code from us.The code will be emailed to you, we will email you code to the EXACT email address you used at payment. We will email you within 1-2 business days (if you order on TUESDAY it may be 3 business days) . This is the code to activate your DE. You will not need to download anything new, from inside of your existing Silhouette Studio software you need to click on the "HELP" tab, then you will click on "UPGRADE SILHOUETTE STUDIO" from there you will enter the code I email you, this code will now allow you to use the DE version. as of AUGUST 2015 this code will only be sold to U.S.A customers with a U.S.A paypal account. We are an authorized retailed/distributor of Silhouette products, however we do not offer direct customer service when it comes to their products or their software, ANY question not answered within this page will need to be directed to silhouette customer service. We will email you the code within 1-2 business days from our email address NICK@CRAFTVINYL.COM, you will need to make sure your email account can/will receive messages from NICK@CRAFTVINYL.COM, you may have to check your junk/spam folders within 1-2 business days to see that we have emailed you the code. because this item is a softwware upgrade there will be NO returns for ANY reason what so ever - no exceptions. Because of ever changing software versions and technology please read the websites compatibility with your machine etc.….. I am only offering you a link to purchase this software. I do not sell it or distribute it. All customer services related questions must be addressed to the manufacture of the software. Please be sure click on the above links to see if your machine is compatible with the software. 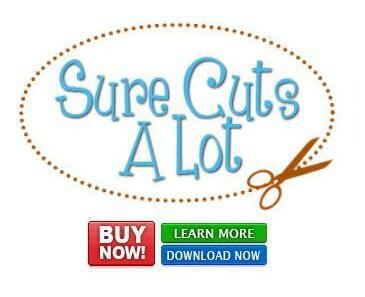 Please be sure click on the below links to see if your machine is compatible with the software.